Israeli soldiers invaded, on Thursday morning, Tubas city, in northeastern West Bank, broke into and searched several homes and abducted four young men. Media sources in Tubas said the soldiers violently searched homes, and interrogated many Palestinians, while inspecting their ID cards. 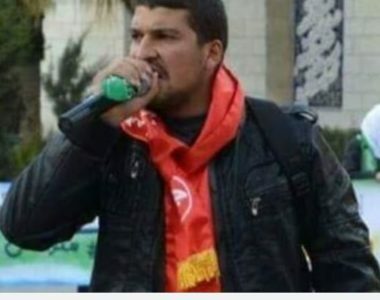 The sources added that the soldiers abducted Hilal Abu Dawwas, Arabi Abu Dawwas, ‘Arif Sawafta and Ma’moun Khodeiri, from their homes, and took them to an unknown destination. Also at dawn, the soldiers abducted eight young men, in the southern West Bank governorate of Hebron, and two children, in the at-Tour neighborhood, overlooking the Old City of Jerusalem. 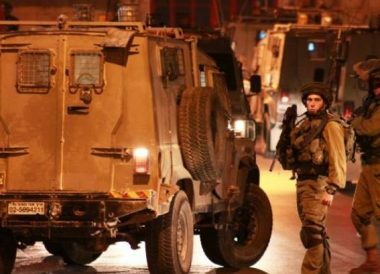 On Wednesday at night, the soldiers invaded Qabatia town, south of the northern West Bank city of Jenin, and abducted one Palestinian from his home. In addition, dozens of Israeli soldiers invaded many Palestinian homes and stores in Ras Shehada Area, adjacent to Shu’fat refugee camp, in occupied East Jerusalem, search them and abducted a Palestinian after destroying his furniture, in addition to wounding six children.